I'm converting a 6" travel FS bike to a DH bike for my girlfriend. Going to keep it SS--she's hard on gear and I don't want to spend $$$ on a cassette and der for her to break. Can anyone recommend a proper tensioner that'll keep the chain from flopping and slapping and derailing? I use a 10-speed clutch der on my DH bike and it works great, but I don't have any more of those laying around. I haven't used one but > ETR/D Full Suspension Chain Tensioner | Yess Products Ltd. I have one of those already--useless for mitigating chainslap. Ditto with the Rohloff unit. 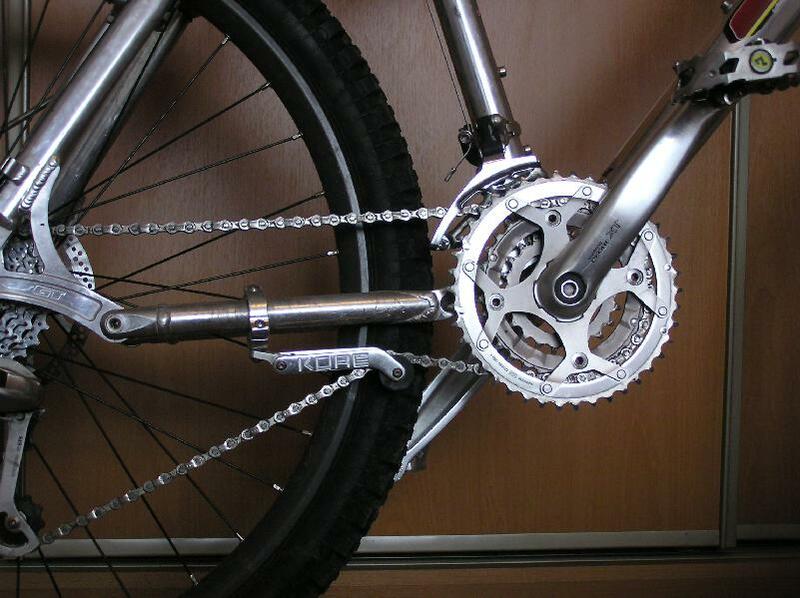 I used to have this gadget made by Kore called a Chain Reactor that bolted to the chainstay, you'd for sure still need a tensioner at the dropout but it seemed to give enough tension to stop the chainslap. Can't find them online right now for sale but maybe ebay somewhere, found a pic. Edit: I still might have an unscathed one laying around if it looks like it might work.